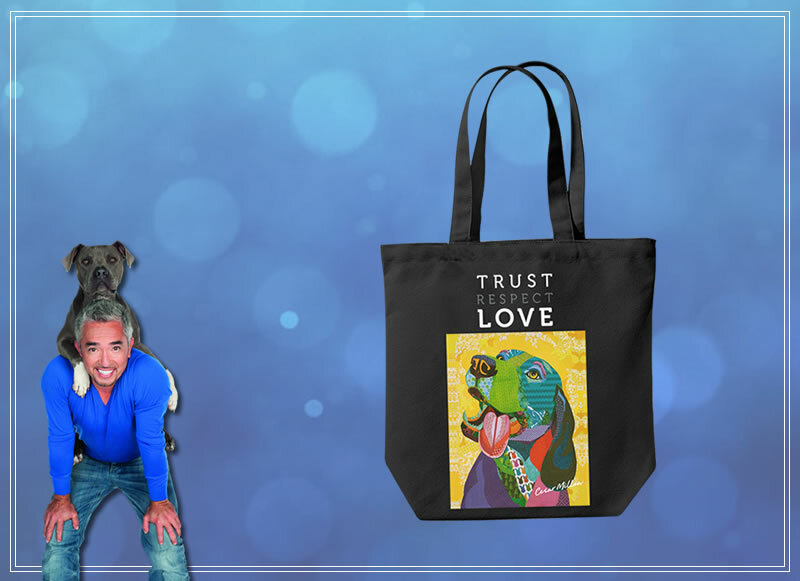 Black Canvas Tote Bag ONCE UPON A DOG and Cesar Millan signature, printed both sides. Black canvas shopper bag TRUST-RESPECT-LOVE and Cesar Millan signature with unique dog art. Copyright © 2019 Shelton Entertainment. All Rights Reserved.